This article presents the outcome of empirical research into the background of Italian films screened in Flanders between 2000-2006[*] and considered as cultural objects. It reconstructs their life cycles, combining, as it does, qualitative in-depth interviews with selected gatekeepers and with a focus group of non-native Italian speakers. The paper also presents the results of a pilot study on La meglio gioventù (Giordana 2003), an Italian film that proved very popular in Belgium. This involved the analysis, in terms of both quality and quantity, of the subtitles of La meglio gioventù. The study considers its reception in Flanders and the strategies that characterize the translation of its subtitles into Dutch. The results show that Italian films in Flanders are selected at international film festivals, such as Cannes and Berlin, and go on to be shown in Art-house cinemas but never in commercial cinemas. They also show that La meglio gioventù received a unanimously positive reception. In spite of the success of the film, some of its meanings were negotiated (history, terrorism, family saga, etc.) and some resisted (madness) by the Flemish public and by the gatekeepers, and this process resulted in the loss of one of the film’s important meanings. The subtitles of La meglio gioventù were translated in this vein. The findings show that there are two levels of re-negotiation of meanings/resistance to meanings (symbolic and linguistic) and they do not differ one from the other. ©inTRAlinea & Manuela Caniato (2014). "Double meaning re-negotiation: Italian films in Flanders as cultural objects"
Sociology of culture covers a broad field of research studying the creation and negotiation of manifest meanings in society. It addresses collective everyday activities such as going to the restaurant, renting a film, praying in church and so on. More specifically, sociology of culture examines social activities with regard to two areas: on the one hand it considers the immaterial, symbolic element of social constructions (for example food as an expression of taste, its historical and social components, etc. ), and on the other hand, it analyses their material component (food industry, food distribution, location of the restaurant, etc.). The production of goods with a social symbolic function requires an industrial dimension, political rules, technologies, distribution processes, trained professionals: in other words all the complex aspects that any utilitarian large scale production demands. But it also requires cognition, knowledge of symbols, connections, taste. Therefore a branch of sociology of culture studies goods by concentrating on the intersection of these two dimensions and analysing them through a range of different approaches. These goods are called cultural objects (COs). Cultural objects may be defined tentatively as “nonmaterial” goods directed to a public of consumers, for whom they generally serve an aesthetic or expressive, rather than a clearly utilitarian function. […] To refer to shared significance embodied in form, i.e., to an expression of social meanings that is tangible or can be put into words. Thus, a religious doctrine, a belief about the racial characteristics of blacks, a sonnet, a hairstyle, and a quilt could all be analysed as cultural objects, the analyst must designate just what the object in question is. Hirsch’s definition has the advantage of addressing both dimensions of the CO: nonmaterial goods are goods, merchandise, recorded products (Crane 1992), items that are produced and sold, but at the same time they have a nonmaterial, creative component that can be found in works of art, pieces of literature, or music. Griswold’s definition has the advantage of flexibility: the analyst is responsible for the designation of what a CO is as long as s/he follows the appropriate methodology to approach it. On the basis of Hirsch’s article, Griswold has elaborated on Hirsch’s scheme (2004: 81) that represents the different social actors that take part in a cultural industry. They identified three systems: Technical (e.g. creative artists), Managerial (e.g. organizations), and Institutional (e.g. media) that interact with consumers to create a CO. Griswold’s scheme also shows the multidimensionality and circularity of COs: they are an expression of social relations and give, at the same time, shape to social relations. While Griswold’s and Hirsch’s approach views the cultural industry as a whole, another scientific tradition has focused specifically on the study of the reception of audio-visual products: Cultural Studies and Reception Studies. These schools, which are very much intertwined (Machor and Goldstein 2001), have contributed to an evolution in the way we look at the audience, that from passive recipient of films and television programmes to active participants in the creation of their meaning. The meaning of a CO encompasses both the CO itself and the way the public interprets and uses it. In other words the reception of the CO is as important as the CO itself. In the framework of Cultural Studies, Reception Theory concentrates on the audience with the idea that it is not a sequence of single individuals that make isolated choices. Audiences are social in the way that their taste, their preferences, and their type of participation are always socially structured (Barker 1988). Reception Theory looks at the response of audiences to specific COs and at the long term effects that COs might have on national and cultural identity. According to this approach, the reception process involves the attribution of sense to medial texts that the texts themselves suggest and the texts must meet the expectations of those for whom they are intended, in a circular process that is guided by the users (Losito 2001: 5). The response of an audience to an audio-visual product can take the form of either negotiation or of resistance. The transnational dimension of a CO cannot be underestimated either, and in order to study this specific aspect, Reception Studies propose a model that is represented by Crane (2002: 2) as follows. Table 1: Crane’s representation of Models of cultural globalization: The model of Reception Studies. Crane sums up the position of Reception Studies, stating that, according to this theory, the transmission of COs starts from the production centres, to spread in a multidirectional way. The social actors identified by Hirsch within his subsystems (that Crane calls audiences, publics, etc.) all play a role in the reception of the COs. An audience responds actively, and not passively, to mass-media entertainment, and different nationalities, ethnic groups and racial groups interpret the same material in different ways. Negotiation and resistance are the main reactions that audiences and gatekeepers can have when faced with a transnational CO (Crane 2002: 4). The response of the public to audio-visual products in different countries can be determined by several factors, as illustrated by Katz and Liebes (1987) in a study on the reception of the American television series Dallas in Israel and the United States. In more recent times, even the idea that the public of one country uniformly reacts to an audio-visual cultural product is no longer sustainable (Sreberny-Mohammadi 1992; Crane 2002). Therefore, it makes little sense to analyse the reception of a particular media product within a national audience. Instead, it is more useful to investigate the reception of this product at the level of the gatekeepers (Crane 2002: 11) who deal with it at the local level, as already suggested by Hirsch (1972). So far, we have positioned the research in a theoretical framework that belongs to Social Sciences and refers to an established tradition of research. Sociology of culture, Cultural Studies, Reception Studies constitute the theoretical paradigm which enables us to respond to questions about why, and how, an Italian film arrives in Flanders. These disciplines are not concerned, however, with the study of the film dialogue and its meanings. The meanings (symbolic or not) of the film are not only transmitted by the film as a whole, but also, and perhaps above all, by the words of the film which, in our case, are the translated words of the film, i.e. the subtitles. An audiovisual translation is the object of Translation Studies and, in particular, Audiovisual Translation Studies. The Dutch subtitles of Italian films are thus addressed in this article with the tools offered by this discipline. Traditionally, Translation Studies does not concern itself with the underlying issues when a film is exported from one country (Italy ) to another (Flanders). Here I try to show how a sociological framework is nevertheless useful for improving the analysis of translation problems. Integrating social studies with the considerations of the linguistic valence of a CO as defined by Audiovisual Translation Studies, has the advantage of adding another dimension to the CO. We can reconstruct the social life of a CO, evaluate its transnational impact and, at the same time, we can understand its linguistic dimension when we consider the phenomenon of translation as one of the layers of meaning negotiation that a CO undergoes. Without the negotiation of meaning provided by a translation, a film could not be consumed by foreign-language audiences. Moreover, it could not have a transnational dimension and its meanings could not be negotiated or resisted outside the context it originated from. Translation studies have identified many culture-related critical aspects. Among others there are humour (Chiaro 2006; 2007; 2010; Zabalbeascoa 2003), poetry (Gottlieb 2001), language play (Schröter 2005), dialects (Federici 2011), allusions (Fuentes Luque 2003), songs (Di Giovanni et al. 2010), etc. The present article analyses realia by using the Italian film La meglio gioventù (Marco Tullio Giordana, Italy, 2003). This case study attempts to demonstrate that some realia play a role that cannot be underestimated in translation and must be interpreted considering the film in its dimension as a CO. This article follows the life cycle of Italian films in Flanders from the time of purchase for the Flemish market, to the time of consumption with subtitles. It presents part of the qualitative results of a broader qualitative and quantitative research done in Flanders on Italian films, their distribution and their translation. Following the so-called Hirsch scheme (Griswold 2004: 81), I identified 13 cultural intermediaries who have a privileged position in the market, including translation agents. After finding the 41 Italian films which were distributed in Flanders in the period under examination (2000-2006), I identified the production and distribution houses who purchased and distributed them, after which I contacted the gatekeepers belonging to the three systems (Technical, Managerial and Institutional) in order to interview them. In the end, 13 gatekeepers were interviewed. Individual interviews were conducted with the technique of in-depth motivational interviews with neutral references. Following indications that arose from the interviews I identified a case study: the film La meglio gioventù. In order to study the film’s entire life cycle, its public (Hirsch 1972) had to be examined and, with this in mind, different focus-groups were organized. The non-directive focus group presented here was composed of six teachers who were active in various Flemish institutions, teaching Italian either at an academic level or in evening classes for adults. Their knowledge of Italian makes them key figures in disseminating Italian culture in Flanders, as pointed out in in-depth interviews. They were all Flemish of different age-groups with a near-native knowledge of Italian, something which had not necessarily been acquired at the time of watching the film. The interviewer was always present at the discussion, but did not intervene, whether to establish, or interrupt, silences or speaking turns, and maintained a very minor role (Corrao 2005: 46), introducing only the main theme (La meglio gioventù). The focus group took place some time after the success of the film in Flanders. The main advantage of the focus group lies in the interaction between participants. It is precisely this interaction that reproduces the social process of creating ideas that the focus group itself aims to recreate. Both the results of the in-depth interviews and the focus group are not representative, but are examples: they do not represent the reality in percentage terms, but they help explain a phenomenon and understand its reasons. I proceeded to analyse the subtitles of the film following a qualitative and quantitative methodology. Finally, I isolated two phenomena that I found to be representative of the process being studied. 3. Where can I buy an Italian film? The global market for exported feature films is very complex (Bielby and Harrington 2004). In order to be screened in Flemish film theatres, Italian films need to find a Belgian buyer. In the specific case of Italian films, the buyers are also the distributors. Between 2000 and 2006, 41 Italian films entered the Flemish cinema theatre network, distributed by some 15 companies, i.e. more or less 7,5% of the total number of Italian films produced in the same period. Usually their silk route starts at the international festivals of Cannes and Berlin, visited by all Belgian distributors, and ends at Flemish Art-house cinemas. This is a standard process in Europe (Bergfelder 2005). Sven: Every 6 months we go to Cannes […]. Jan: Cannes was the major market, Berlin is festival and market, there’s also the market in Los Angeles. Once there was in Milan the MIFED, it was only a market, the world leader. Sometimes Belgians also go to Toronto and Los Angeles. Only one informant goes to Italy. Big festivals such as Cannes, Berlin and LA are also markets. Between 2000 and 2006, 63 Italian films were presented in Berlin and 59 in Cannes, with little overlap. So, the 41 Italian films distributed in Belgium are approximately 33,5% of the total number of Italian films from Berlin and Cannes. Observing the list of films that participate in the competitions in Berlin and Cannes, we can see that only those films with a highbrow pedigree are admitted. European film festivals tend to be oriented towards a culturally highbrow production, whereas commercial films are visible elsewhere, namely in Los Angeles (American Film Market, AFM). The market appears to be distinctly polarized (Meers 2003). On the one hand Europe offers culture, on the other hand America offers business. Many Film Studies scholars have already discussed the relation between the European film industry and Hollywood (among others, Meers 2003; Nowell-Smith and Ricci 1998). European festivals tend not to accept commercial films, and Belgian distributors of Italian films tend not to take commercial films into consideration: it’s not their thing (Jan). How do the buyers/distributors select Italian films? They agree that the success of a film in the Italian market is not a valid criterion. Carine: You know? I find it strange when somebody says that… “the film did great in Italy”… because it doesn’t mean at all that it will be successful here. They go further stating that Italian films tend to be too “local”, that is to say full of source-culture references and strongly Italian-audience oriented. Frank: Suddenly Italian cinema has got a new life following La vita è bella by Roberto Benigni and Moretti’s films. They were, you can really say that, the only exportable films. Because Italian cinema has long suffered from a local complex. Italian cinema is still very deeply rooted, they are Italian films, local films without being truly universal. That is also one of the reasons why they are so difficult to export. At the same time this local dimension reflects a general trend of the market that is seen as polarized between global commercial productions on one hand and local films on the other. Sven: [Films] are local, culture-bound. Sven: They talk to the local culture. But the local dimension is also the strength of Italian films. Carine […] we are doing very well with Italian films because people like to see them in our Art-house cinema. [Italian cinema] is warm and very attractive. In order to be understood in Flanders, this Italian/local dimension must correspond to a representation of Italy that the public can easily access: the Bel Paese, its food, the sea, the women. Italian cinema seems to be more easily appreciated if it does not move too far away from such classic stereotypes. But if this result could be expected, we also have to consider that today Italian films rarely present this postcard image and the few that do, do not reach Cannes or Berlin. The majority of Italian films that gain access to international film festivals offer a thought-provoking view of Italian reality, an artistic and intellectual point of view. We are still within the space of the highbrow cultural preferences of Cannes. Here we face an interesting contradiction: Italian films are required to be products that retain a clear local dimension so that they can immediately be recognized as having an Italian feel. At the same time they should also be quality products, good enough to gain access to highbrow international festivals. This is a difficult balance to strike, especially if we consider that the political dimension of the film should not be too pronounced: Italian political films are considered too local, as stressed by several informants. Another weakness inherent in Italian films is their film language. As Frank puts it: one would expect that Belgium would be culturally closer to French culture, but this is not necessarily the case, certainly not in the Dutch-speaking area. Sven: Belgium has a very Anglo-Saxon tradition. Frank: You can say American. The Anglo-Saxon/American tradition has important implications at the level of film language (Meers 2003). Sven: Yeah, so American, it’s bound to one film language and to a certain rhythm. Sven: A rhythm of editing and of how that film is assembled, and the language, the accessibility of the language. The strength of American films also covers a film language where rhythm is essential, the editing is flawless and the level of acting highly professional. In contrast to this, Italian films sometimes seem to have weak scripts and mediocre actors, on top of insufficient budgets. Feank: Many Italian films, how should I say, flap a little, have no strong script, they are often fragmented from sequence to sequence. Italian films are never commercial enough, they still suffer from the complex of film d’auteur (Bergfelder 2005) that has characterized European productions since the nouvelle vague. On the other hand they have some positive qualities that still make them attractive, and authenticity is probably the most important one. Erik: For a local director, a non-American one, being as authentic as possible is the best way to reach the largest possible audience. He should find a story as close as possible to the roots of the country otherwise the story lies. […] If you look at films [that] have reached a large audience, normally they are international co-productions. But there are small scale films that all of a sudden have something authentic to say. People want that, such a tale. This is what an authentic film is. This opinion is confirmed by Meers’s research on the public of Art-house cinemas in Flanders: authenticity, atmosphere, credibility and originality are the final qualities that the Flemish public looks for. The results of Meers’s research overlap with what our informants say: realism, recognizable characters and situations are highly valued. The Flemish Art-house audience and the Flemish professionals who buy films for Art-house cinemas favour films that teach something of the reality (Meers 2005: 125). La meglio gioventù (Marco Tullio Giordana, 2003), tells the story of an Italian family that spans several decades from the late Sixties to the present day. La meglio gioventù focuses on two brothers, Nicola and Matteo who share the same hopes, the same dreams, and enjoy the same books and friends, until an encounter with a disturbed young woman, Giorgia, decides the fate of both of them. Nicola decides to become a psychiatrist, and Matteo abandons his studies to become a policeman. As shown in figure 2, the film has been reasonably successful in Europe and exceptionally popular in Belgium (BE). The Italian results are also impressive if one considers that the film was first broadcast by RAI, the state television that produced it. Only after the film won the prize Un certain regard in Cannes in 2003, was it given a theatrical release in Italy and was shown as two three-hour films. Figure 1: Breakdown of admissions in the national markets (from Lumiere). La meglio gioventù was very successful in Flanders, it even sold more tickets that in Italy. Its reception in Belgium is also different from that in other European countries. 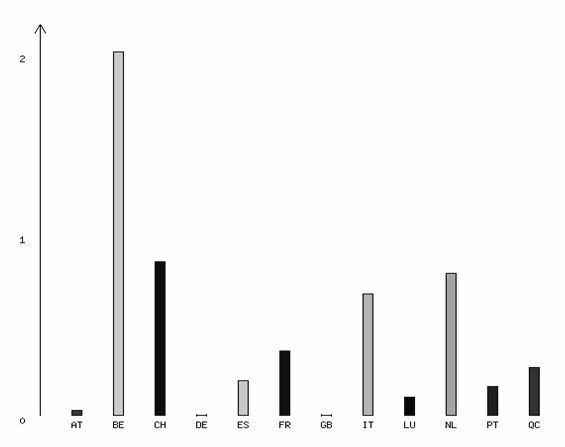 Figure 2 shows that twice as many tickets were sold in Belgium than in Switzerland (CH), Italy (IT) and the Netherlands (NL), the other countries where the film was successful. La meglio gioventù was conceived and filmed as a mini-series of four one-and-a-half hour episodes. The director Marco Tullio Giordana is well known in Italy thanks mostly to his film I cento passi (2000), which tells the story of a young rebellious radio-journalist who took a stand against the mafia in the 1970s. Giordana's political position is openly leftist, and together with Nanni Moretti and 8 other directors, he put his name to a short film that was critical of former premier Silvio Berlusconi. Obviously the Flemish public was not aware of his fame and had no idea who the actors of La meglio gioventù were. When La meglio gioventù crossed the Italian borders it lost all the sounding-board effects that accompany the work of well-known artists. Seen in Hirsch’s terms (1972), the Technical subsystem and its aura disappeared, leaving the pure product, without the trivia of showbiz and the assumed appreciation for well-known professionals. These missing elements were replaced by the practices of the Managerial subsystem. La meglio gioventù was imported and distributed by a fledgling company that chose it as an opening act for their launch in the market. To present the film in Belgium they organized a party with 700 guests at the Flagey palace, a recently renovated art deco theatre in the centre of Brussels. They invited ‘everybody who is anybody’ in Flanders, artists, film directors, musicians, etc. along with the press, TV, and radio. Armand: Between the two films the Region Piemonte offered a buffet: wine, cheese, delicatessen. Really exceptional… Immediately everybody was talking about the film that immediately became a cult, the ideal product for art-houses. The director and the actors were present and the answered questions of journalists and the audience. They created what was, in effect, a large showbiz event which had two important benefits. As Belgium is a small country, everybody with relevant influence and prestige was present. Moreover, representatives of the managerial and institutional subsystem had the possibility to meet with each other and to celebrate the film while discussing it. The first re-negotiation of meanings of La meglio gioventù took place there. La meglio gioventù met the symbolic criteria of filmic language (plot, actors) and authenticity (a big Italian family saga) indicated by our gatekeepers as prerequisites for the choice of a film and for the taste of the public. La meglio gioventù is about a family and its friends, but is also about 1968, psychiatry, terrorism, madness, etc. In fact, it lasts 6 hours. Our respondent was perfectly aware of the fact that the interpretation of the film as a big Italian family saga was simplistic, but this was not of particular concern to him. He referred to an idea that he shared with the public. The Flemish public was more inclined to watch a big family saga than a political film about terrorism, therefore the film was presented as a big family saga. Even though informants mentioned the terrorist/historical theme, they tied it directly to the personal history of the characters. They explicitly said that the general public was not attracted by historical films: La meglio gioventù was presented as interesting because it connects Italian history with the events of one family, history in this sense is viewed from a personal level. During this process the film lost its the political edge which was pivotal in the Italian reception of the film (Antonello 2012; Summerville 2008; O’Leary 2007; 2010; Uva 2009), its asperities and part of its force and it also lost the theme of madness and with it the comprehension of one major character. As already stated in §1, when a CO such as a film crosses borders, its meaning is once again negotiated, not necessarily respecting the meaning it had in the country of origin. All of these components played a role in determining the fate of the film: a unique chain of events for an exceptionally successful Italian film in Belgium. La meglio gioventù was successful in spite of its unknown director and actors, its provenance (Italy), its duration (6 hours) and its political content. An exceptional investment of time and money was rewarded by healthy box-office receipts, the TV broadcast and the sales of DVD. The purpose of the interviews with the gatekeepers was to help reconstruct the life of Italian films in Flanders. From the Italian films available La meglio gioventù was selected as a case history that became a theme for a focus group. The informants immediately mentioned the dimension of the phenomenon and they proceeded trying and explain it. Katrien: It was a phenomenon! When it arrived here everyone went to see it […]. It was a revelation. Jos: For a lot of people it was the access to the Italian culture. Sonia: A beautiful plot and fascinating characters. […] It is history but lived by normal persons. Cara: Here you can see the political facts, on the background […], but there’s also the plot. Katrien: The public goes to the movie theatre for a human plot, for a family saga. Katrien: Because I always think the Flemish are Catholic and Italians are Catholic. All the others are Protestant. Katrien: I often see that Italians and Flemish have something in common and I always say that the Flemish are Catholic and Italians are Catholic, so we’re the Italians of the north […]. A lot of people think that because we are Germanic we are like Dutch, Germans, English. We are Germanic but we have the Catholic element: we are party-goers! Sonia: About religion, I wanted to say that in the film itself you don’t see a lot of church. It is not a family of believers […] you don’t see the power of the church, there’s one priest in the mountains but he is a good one […] you don’t see Catholic religion in the film. Cara: When I saw the film I never got why he [Matteo] had to commit suicide. Jos: […] There was something wrong with his job. There was something not right. Sonia: He didn’t know how to communicate. Cara: I didn’t find him so bad, he was handsome, intelligent… he was a bit close, but…[…] I was completely shocked that he jumps off of his balcony. Sara: I want to say that this event was very unexpected for me as well. I was also shocked by his suicide. Cara: But from the film it didn’t pop up that he had a problem. Katrien: Maybe there were details that we didn’t see. The informants seem to miss the relevance of the role that the theme of mental disease plays in the film and that is stated by the producers themselves in the official synopsis of the film, in the advertising material and in the press book (The Best of Youth Press Book). When Matteo meets Giulia, a psychiatric patient, their life changes dramatically. He kidnaps the patient because he dislikes the way she is treated in a mental institution. The two brothers travel through Italy to find the family of the girl but their quest is cut short by the police. After that the brothers change. One leaves the university and becomes a policeman, the other travels towards Cape North and when he returns home he becomes a psychiatrist. He is one of the protagonists of a trial that moves against traditional psychiatry and he works with the police on the gradual dismantling of psychiatric hospitals. Giulia is a mental patient and one of the main characters of the film and we follow her movements in and out of mental institutions. I think we can safely say that La meglio gioventù is also a film about mental illness. Nevertheless the theme of madness seems to be missing in the Flemish reception of the film. Neither the gatekeepers nor the group ever mentioned it. I think we are dealing here with a case of resistance to a meaning of the CO. The opinions expressed by the gatekeepers and by the focus group demonstrate a remarkable consistency. Madness is simply absent from the discussion. The re-negotiation of meanings that took place at the grand opening of La meglio gioventù probably reflected and directed the reception of the public. The public negotiated the same meanings, accepted and understood them and in this cooperative circle the theme of madness was overlooked. This omission is not without consequences, it leads to a situation in which one of the main characters of the film cannot be fully interpreted by the public. According to my interpretation of the data, the Flemish viewers present at the focus group could not completely understand the representation of deviation from mental health offered by La meglio gioventù and therefore resisted it. I see three major reasons for this resistance that do not necessarily exclude one another: 1) the lack of access to some Italian historical facts creates a cultural gap that leads to resistance; 2) the design of Matteo’s character, his behaviour, is not readable by the Flemish viewers, who for some reason consider behaviour that for the Italian public is deviant to be normal; 3) the chosen translation strategies do not offer access to the missing information. Historically, Italy has had an exceptionally open attitude towards mental patients. Italy enacted law 180 (Basaglia’s Law) on May 13 1978 and thereby initiated the gradual dismantling of its mental asylums. La meglio gioventù refers so openly to this historical landmark that there is a Facebook group that calls La meglio gioventù Basaglia’s biopic. I assume that Flemish viewers had no familiarity with Law 180 and Basaglia’s work and with the impact that the abolition of asylums has had on Italian society. Therefore the Flemish viewers could possibly have difficulties in placing the actions of one character within the Italian historical context. La meglio gioventù apparently does not contain sufficient explanatory cues for the Flemish audience to recognize Matteo’s madness and to connect it with the general theme of madness presented by historical facts. My conclusion is that the reception of La meglio gioventù could be seen as double. On the one hand we have a positive negotiation of all the meanings proposed by the distributor and presented during the Grand Opening. On the other hand there is resistance to other meanings: namely to mental health that was neither recognized nor re-negotiated. In order to study the specific linguistic aspects of this renegotiation and resistance to meanings, a study of the subtitles may prove particularly useful. In Belgium, feature films are subtitled. Their theatrical version has subtitles, in French and Dutch, whilst with the DVD the viewer can select subtitles in one of the two languages. Whenever broadcast on TV, films are subtitled in the official language of the channel. Dutch is the official language of both Flanders and the Netherlands, but there are some differences in the use of the language in the two regions that determine different conventions for translations, etc. Flanders, located in the north of Belgium, has a population of 6,3 million inhabitants (out of a total of 10 million). Thanks to Belgium’s political and linguistic division (Wallonia is French-speaking), the cinema industry in Flanders can be examined in isolation, making Flanders, with its small dimension, an ideal arena to study the industry of imported films. Dutch may be the language that unites the Netherlands and Flanders, but the linguistic situation in Flanders is very complex. Remael, De Houwer and Vandekerckhove (2008), in a study on the linguistic differences between subtitles in Flanders and in the Netherlands, compare the difference between the formal standard language spoken in Flanders and in the Netherlands, to the difference between formal English spoken in the United States and Canada. This means that films are often subtitled twice, once in the Netherlands and once in Flanders. Flanders has a long and established tradition of highly conventionalized subtitles: both TV channels and film production companies have guidelines setting up conventions that are widely respected and accepted. The number of characters per line, the number of lines, the colour of the ST, their coherence, etc. tend to be consistent in all type of products, not only films. I have presented the social life of La meglio gioventù in Flanders without stressing that its linguistic meanings had been modified by the presence of subtitles. Subtitles reduce the dialogue list and this reduction takes place respecting technical criteria such as linguistic acceptability (choices in terminology, style, rhetoric, etc. ), legibility (choices of font, colour, number of characters, etc. ), readability (choices at psycho-cognitive, inferential level), relevance (choices of cultural elements to translate or omit), domestication strategies (choices to accept or not values and behaviours) (Gambier and Gottlieb 2001; Gambier 2004). Although the public in the focus-group may not have identified madness as a major theme in La meglio gioventù because of a number of different reasons, I shall argue that one of the most relevant for this interpretative shortcoming is certainly the translation of realia. According to the tradition of Translation Studies, realia, otherwise also defined as cultural words, names of particular entities, culture-specific words, extra-linguistic cultural references, etc. are words that refer to elements of daily life, history, culture, or products of a certain geographical area of the world that are not known in other areas. I will refer to these words as realia because this is the most widely used term. Realia are elements that are especially problematic to translate because they are not part of the target language system. Pedersen (2011) proposes a scheme illustrating the translation strategies of realia in subtitles. The main strategies directed at the source language (in La meglio gioventù Italian) that he identifies are: Retention, Specification, Direct translation; the main strategies directed at the target language (in LMG Dutch) are Generalisation, Substitution, Omission. Here my tentative hypothesis was that important realia were not translated or explicated in the target version of the film and a closer analysis of subtitles proved this assumption to be sound. All subtitles connected to Franco Basaglia and his work translate literally the dialogue list, without any attempt to use translating strategies other than Direct translation. Direct translation and Omission are indicated by Pedersen (2005) as the strategies to avoid rendering ECRs, especially with proper names (2005: 5). We might hypothesize that other translation strategies such as Specification (in particular Explicitation and Addition) would have helped in identifying madness as a major theme in La meglio gioventù. NICOLA: È il mio maestro, Franco Basaglia. MATTEO: Ah. Quello che vuole liberare tutti i matti. NICOLA: Sì, c’ha questa strana idea che i malati non siano dei detenuti, ma delle persone. Che la malattia mentale non sia una colpa da espiare. Bizzarro, no? NICOLA: Hij denkt dat de zieken/geen gevangenen zijn maar mensen// dat de geesteziekte/ geen fout is om voor te boeten. Vreemd, hé? GIULIA: No, lui no. I ricoverati. Sono stati ammessi come testimoni. E speriamo che il giudice gli dia retta. Sarebbe la prima volta in Italia. Anzi, mi sa che sarebbe la prima volta nel mondo. GIULIA: Hij niet,/ de zieken mogen getuigen.// Laten we hopen dat de rechter luistert.// Dat zou de eerste keer zijn in Italië.// In de wereld zelfs. GIULIA: He does not / the patients can testify. // Let's hope the judge listens.// This would be the first time in Italy.// In the world even. In examples 1 and 2, we can observe that the employed translation strategies do not help to reveal the obscure concepts expressed by the dialogue. If a viewer does not know Basaglia, the subtitle is useless. If a viewer is not aware that traditional medical practices such as electroshock were condemned in Italy in a court of justice, the subtitles are not very effective. The translation proposed by the subtitles of La meglio gioventù is in line with the reception of the film identified by the focus group. A closer analysis of subtitles highlights a very interesting aspect: the translation strategies of the subtitles show the same attitudes towards the meanings of the film as those displayed by the public. Madness is a meaning that causes a reaction of resistance both at the level of the translation strategies employed by the translator agents and at the audience level. Instead of offering additional information that could lead to the negotiation of the meaning madness, subtitles added nothing and the meaning remained hardly accessible to the target audience. Italian films in Flanders are globalized COs. They are imported into the region by members of the Managerial subsystem (Hirsch 1972). For this study these key informants were identified and interviewed using motivational in-depth interviews with the twin purpose of tracing the life cycle of Italian films that move outside of Italy and to identify the motivations that lie behind the choices made by the members of the Managerial subsystem. The results show that these professionals select Italian films mostly at the international festivals of Cannes and Berlin in order to distribute them in art-houses. The films that take part in these festivals belong to the tradition of artistic film d’auteur. These results are in line with the scholarly literature (Bergfelder 2005). They also confirm that the professionals are unique characters that constitute the rational fulcra that organizes the market (Bielby and Harrington 2004). Importers/distributors of Italian films in Flanders substitute and replace the original Italian Technical subsystem of Italian films and act partly as re-creators. They not only buy and import, they re-create the cultural object itself re-negotiating its original meaning. Having lost their original aura together with their original Technical subsystem, Italian films arrive in Flanders as texts that need to be (re)interpreted. As illustrated by the case study of La meglio gioventù, the meaning of the film is re-negotiated in order to meet the criteria required by the new audience. The interaction between re-creators and receivers (public) is particularly salient. The qualities that the gatekeepers require to choose a film overlap with the ones indicated in the focus group. The interviews show that the meanings Cult film, Italian big family saga, Good plot, History/terrorism at a personal level, good actors, Difference between perception and reality (Italian family) are central, key concepts in La meglio gioventù. They are acceptable, negotiable and compatible within the different subsystems and they undergo the process of meaning negotiation that brings the CO to life. Conversely the theme of Madness is not negotiated, but is resisted. Finally, the Flemish public was likely to be more inclined to watch a large family saga than a political film about terrorism, even though the political aspect was pivotal in the Italian film’s reception. Once they are bought, Italian films are distributed in Flanders in Art-house cinemas in the original version with Dutch subtitles. Reduction, compression, elimination are among the principal translation strategies used to produce subtitles. Once the dialogue-list is translated into subtitles, it loses many elements that the viewer can detect only from the visual track. This is the second deep re-negotiation of meaning that Italian films undergo in Flanders and we can assume that some important meanings are lost into this process. Analysing the Dutch subtitled version of La meglio gioventù I expected to find translation strategies that would specify and explicit key cultural elements of the film, but in fact these strategies were not used in the subtitles of La meglio gioventù in relation to the theme of madness. In the case of La meglio gioventù the processes of re-negotiation of meanings/resistance to meanings are organized in two levels that go in the same direction. The linguistic re-negotiation of meanings/resistance to meanings is consistent with the symbolic re-negotiation of meanings/resistance to meanings. At both levels there is resistance to an important meaning of the film. At the symbolic level this resistance results in a difficulty in accepting part of the plot, at the linguistic level it results in the choice for translation strategies that do not specify central cultural elements. Antonello, Pierpaolo (2012) “Di crisi in meglio. Realismo, impegno postmoderno e cinema politico nell’Italia degli anni zero: da Nanni Moretti a Paolo Sorrentino”, Italian studies 67(2): 169–87. Barker, Martin and Kate Brooks (1998) Knowing audiences: Judge Dredd, its friends, fans and foes, Luton, University of Luton Press. Basaglia, Franco  L'istituzione negata, Milano, Baldini Castoldi Dalai. Bergfelder, Tim (2005) “National, transnational or supranational cinema? Rethinking European film studies”, Media Culture Society 27 (3): 315-331. Bielby, Denise and Harrington C. Lee (2004) “Managing culture matters: genre, aesthetic elements, and the international market for exported television”, Poetics 32(1): 73-98. Bourdieu, Paul (1983). La distinzione: critica sociale del gusto. Bologna: Società editrice il Mulino. Bovone, Laura and Nella Audisio (1991) Il rischio della vita composita: tre generazioni di intellettuali a confronto. Milano, Vita e pensiero. Chiaro, Delia (2006) “Verbally Expressed Humor on Screen: Reflections on Translation and Reception”, The Journal of Specialised translation 6: 198–208. Chiaro, Delia (2007) “Verbally Expressed Humour on Screen: translation, reception and perception”, in Dìaz-Cintas Jorge, Pilar Orero and Aline Remael (eds.) Media for all:subtitling for the deaf, audio description, and sign language, Amsterdam, New York, Rodopi. ---- (2010) Translation, humour and the media. London; New York, Continuum. Crane, Diana (1992) The Production of Culture, Newbury Park, Sage. Crane, Diana, Nobuko Kawashima and Ken'ichi Kawasaki (2002) Global culture: media, arts, policy, and globalization. London, Routledge. Colucci, Mario and Di Vittorio, Pierangelo (2001) Franco Basaglia. Milano, Bruno Mondadori. Corrao, Sabrina (2005) Il focus group. Milano, FrancoAngeli. Delabastita, Dirk (1989) “Translation and Mass Communication: Film and TV, Translation as Evidence of Cultural Dynamics”, Babel 35(4): 193-218. Díaz Cintas, Jorge (1999) “Dubbing or subtitling: The eternal dilemma”, Perspectives - Studies in Translatology 7(1): 31-40. ---- (2001) La traducción audiovisual : el subtitulado. Biblioteca de traducción, 6. Salamanca, Ediciones Almar. Di Giovanni, Elena (2008). Translation, cultures and the media. European Journal of English Studies 12(2):123–131. Di Giovanni, Elena, Chiara Elefante and Roberta Pederzoli (2010) Écrire et traduire pour les enfants voix, images et mots Writing and translating for children: voices, images and texts, Bruxelles, New York, P.I.E. Peter Lang. Eugeni, Ruggero (2001) Il prodotto culturale, Roma, Carocci. Federici, Federico (2011) Translating dialects and languages of minorities challenges and solutions, Oxford, New York, Peter Lang. Fuentes, Luque, Adrián (2003) “An empirical approach to the reception of AV translated humour. A case study of the Marx Brothers’ «Duck Soup»” The Translator: studies in intercultural communication 9(2): 293–306. Gambier, Yves (2004) “La traduction audiovisuelle: un genre en expansion.” Meta 49(1): 1-11. ---- and Henrik Gottlieb (2001) (Multi)media translation: concepts, practices, and research, Amsterdam, Philadelphia, J. Benjamins. Gottlieb, Henrik (2001) Texts, Translation and Subtitling - in Theory, and in Denmark. http://curis.ku.dk/portal/da/publications/texts-translation-and-subtitling--in-theory-and-in-denmark(b5fb3480-74c5-11db-bee9-02004c4f4f50).html (accessed 10 September 2014). Griswold, Wendy (1986) Renaissance Revivals: City Comedy and Revenge Tragedy in the London Theatre, 1576-1980. Chicago, University of Chicago Press. ---- (1987) “A Methodological Framework for the Sociology of Culture” Sociological Methodology 17: 1-35. ---- (2004) Cultures and societies in a changing world. Sociology for a new century, Thousand Oaks, CA, Pine Forge Press. Hirsch, Paul (1972) “Processing Fads and Fashions: an Organization-set Analysis of cultural Industries Systems” The American Journal of Sociology 77(4): 639-659. ---- (2000) “Cultural Industries Revisited.” Organization Science 11(3): 356-361. Katz, Elihu and Tamar Liebes (1987) “Decoding Dallas: Notes from a cross-cultural study”, in Horace Newcomb (ed.) Television. The Critical View. New York, Oxford University Press, 419-432. Losito, Gianni (2001) “New Contents for an Old Paradigm. Trends in Mass Communication Social Research”, Paper for the 7th Summer School on Social Representations and Communication, European PhD, Rome, 3th-10th of June. Machor, James and Philip Goldstein (2001) Reception study: from literary theory to cultural studies. New York, Routledge. Marzo, Stefania (2010) Parlano diverso. L'italiano parlato in Limburgo: uno studio variazionale e corpus based. Milano, Franco Angeli. Meers, Philip (2003) “Vlaamse filmpjes versus Hollywood: jongeren over Amerikaanse, Europese en Vlaamse cinema” Mediagids/Audiovisueel, 14: 95-113. ---- (2005) Art-house in Antwerpen: een studie naar publieken van art-house film en hun multimediale filmconsumptie in de grootstad. Eindrapport leeronderzoek, Faculteit Politieke en Sociale Wetenschappen, Departement Communicatiewetenschappen, Antwerpen, Universiteit Antwerpen. Nowell-Smith, Geoffrey and Steven Ricci (1998) Hollywood and Europe: economics, culture, national identity, 1945-95. UCLA Film and Television Archive studies in history, criticism, and theory. London, BFI Publishing. O’Connor, Justin (2013) “Intermediaries and Imaginaries in the Cultural and Creative Industries”, Regional Studies: 1–14. O’Leary Alan, (2007) Tragedia all’italiana. Cinema e terrorismo tra Moro e memoria. Sassari, Angelica editore. ---- (2010), ‘Italian cinema and the ‘anni di piombo’’, Journal of European Studies 40, no. 3: 243-257. Orero, Pilar (2008) “Three different receptions of the same film”, European Journal of English Studies 12(2): 179–193. Palumbo, Marco and Elisabetta Garbarino (2006) Ricerca sociale: metodo e tecniche, Milano, Franco Angeli. Pedersen, Jan (2005) “How is culture rendered in subtitles?” Challenges of Multidimensional Translation: Conference Proceedings, Mutra 2005. Saarbrucken, EU High-level Scientific Conference Series. ---- (2011). Subtitling Norms for Television an exploration focussing on extralinguistic cultural references. Amsterdam, Philadelphia, J. Benjamins. Peterson, Richard (1997) Creating Country Music: Fabricating Authenticity, Chicago, University of Chicago Press. Pivetta, Oreste (2012) Franco Basaglia, il dottore dei matti. La biografia, Milano, Dalai Editore. Remael, Aline (2001) “Some Thoughts on the Study of Multimodal and Multimedia Translation” in (Multi)media translation: concepts, practices, and research, Yves Gambier and Henrik Gottlieb (eds), Amsterdam, Philadelphia, J. Benjamins. ----, Annick De Houwer and Reinhild Vandekerckhove (2008) “Intralingual open subtitling in Flanders: audiovisual translation, linguistic variation and audience needs” The Journal of Specialised translation 10, 76–105. Ruggerone, Lucia (2001) Al di là della moda. Oggetti, storie, significati, Milano, Franco Angeli. Schröter, Thorsten (2005) Shun the Pun, Rescue the Rhyme? : The Dubbing and Subtitling of Language Play in Film, PhD diss., Karlstad University, Sweden. Sreberny-Mohammadi, Annabelle (1997). Media in Global Context: A Reader, London, New Delhi, New York, Sidney, Bloomsbury Academic. Summerfield, Giovanna (2008), ‘Fratelli e fratellanze del ’68’, Carte Italian 2(4): 235-248. UCLA, Department of Italian, UCLA. http://escholarship.org/uc/item/9b60x135 (accessed 10 September 2014). The Best of Youth Pressbook. http://www.public.asu.edu/~srbeatty/466/TheBestofYouth%20Pressbook.pdf (accessed 10 September 2014). Uva, Christian (2009) “Nuovo cinema Italia: Per una mappa della produzione contemporanea, tra tendenze, formule e linguaggi”, The Italianist 29(2): 306-324. Zabalbeascoa, Patrick (2003) “Translating Audiovisual Screen irony” in Speaking in Tongues: Languages across Contexts and Users Luis, Pérz González (ed.) Valencia, PUV Ediciones Universitat de Valencia, 305-325. [*] The research is funded by the Vlaamse Onderzoeksfonds. It is a six-year doctoral project on the subtitles of Italian movies in Dutch. I use here the term as investigated and defined by O’Connor (2013: 4). It was first introduced by Bourdieu (1983) who described cultural intermediaries as the key figures responsible for the process of cultural production. Among others, the “Centro per lo studio della moda e della produzione culturale” has worked in this direction (Bovone and Audisio 1991, Bovone and Mora 1997; Ruggerone 2001; Bovone and Ruggerone 2003; Mora 2005), proposing a methodology that I partly followed in my research. The interviews were all in Dutch, except for the interview with Jan, which was conducted in Italian. All translations are by the author of the present article who tried to keep the flavour of the spoken language without reproducing reformulations and mistakes. The names of the gatekeepers are invented because all the informants were guaranteed full anonymity. This non-directional technique underlines the non-intrusive role of the interviewer who should leave the speech initiative to the interviewee. The interviewer should introduce the main theme (Italian films, in this case) and should then only reflect words or concepts already expressed by the interviewees, possibly in an interrogative form (Bovone and Audisio 1991). The aim of the non-directional interview is to explore the motivations of the interviewees with a high degree of informality, and to identify the reasons for their behaviour, the links between their various behaviours and motivations (Palumbo and Garbarino 2006: 203). Indeed, this is the strength of in-depth non-directive interviews. They are research instruments that can, at best, give answers as to the why of certain social events. [In Europe there’s] a mode of production heavily reliant on state subsidies (particularly in Germany and France cross-European distribution network built on marketing of festivals prizes: Berlin, Venice, Cannes), a mode of exhibition centred on distinctive arena of the art-house cinema (Bergfelder 2005: 318). The pay off of AFM is: American Film Market. Where business gets done. Authenticity is a polysemic concept already studied by Peterson (1997). The informant gives here his own definition of the word. Franco Basaglia (1924-1980) is a controversial figure in Italian psychiatry. He inspired Law 180 about mental health that states that dangerousness should be no criterion for commitment and that mental hospital should be closed. His work lead to a new approach to the treatment of mental patients (Basaglia 1968; Colucci 2001; Pivetta 2012). A single slash indicates a new line, two slashes a new ST. I hold a scholarship for postdoctoral research on Multilingual Communication at the University of Ghent, Belgium. In 2014 I discussed my PhD on Subtitles of Italian films in Dutch (2000-2006) at the University of Ghent, Belgium. My researches are characterised by a sociological, linguistic and media-analysis approach. As part of my scholarship duties, I teach Italian at the University of Ghent, Belgium, Department of Translation Interpretation, Communication. As visiting professor in the master of the Milan Fashion Institute, I teach Fashion Communication.